Five minutes walk from this house will find you on the sands of Coopers Beach - the jewel of Northland! 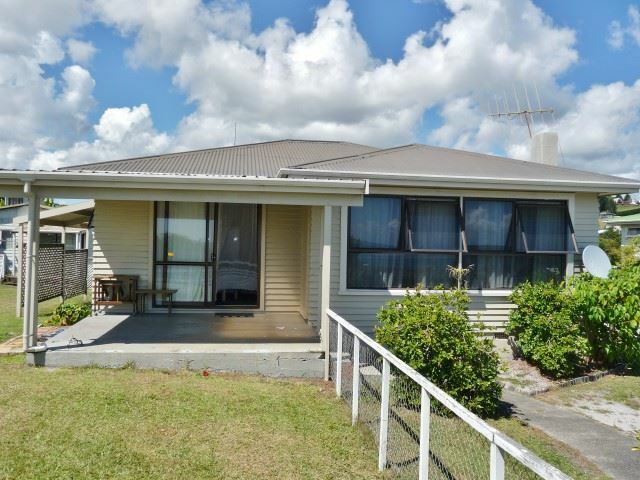 The house is only 300 metres to the Coopers Beach Shopping complex (Doctor, Chemist, Dentist, Butcher, Takeaway Diner, large Four Square, Sport Shop, Hardware, Liquor store and Harcourts ). The North facing house has 2 bedrooms, a comfortable open plan living area, kitchen complete with pantry stove etc. and separate laundry. a single carport is at the rear of the property. Another building at the rear of the property is a generous size and ideal as a games/rumpus room or a Man cave.